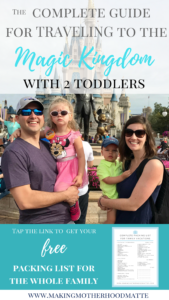 Inside: Find everything you need to know about traveling to the magic kingdom with two toddlers including our schedule and a printable packing list for the whole family. We told my daughter two weeks before our trip to Disney World’s Magic Kingdom that we would be taking her there soon. Since she is only three-years-old, we showed her a few videos so she would know what she was getting excited about. She knew one day soon, we would wake her up and fly on an airplane to Florida to go to Disney World’s Magic Kingdom. She was absolutely pumped, and so were we. Walt Disney World graciously provided us tickets to the Walt Disney World Parks. A few weeks before our trip, the research began for me. We had a Park Hopper tickets, which meant we could have access to four of the Disney World parks for one day. However, after researching all that there is to do at each park, we decided to pick one park and make the most of the day. 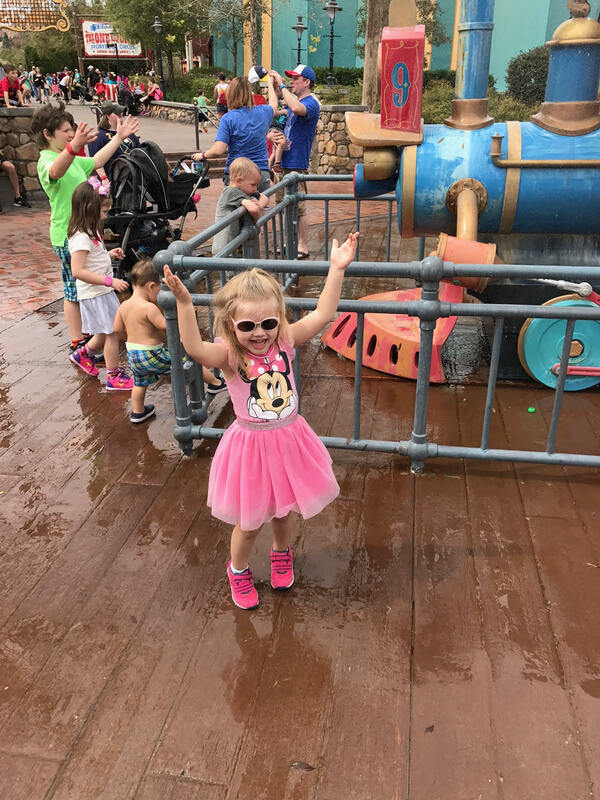 I learned so much about the magical world of Disney World and based all of my decisions on what would be best for traveling with two small toddlers since my children are one and three-years-old. In addition, we had one day to spend at the park. We finally decided on the Magic Kingdom because it seemed to have the most options for toddlers. 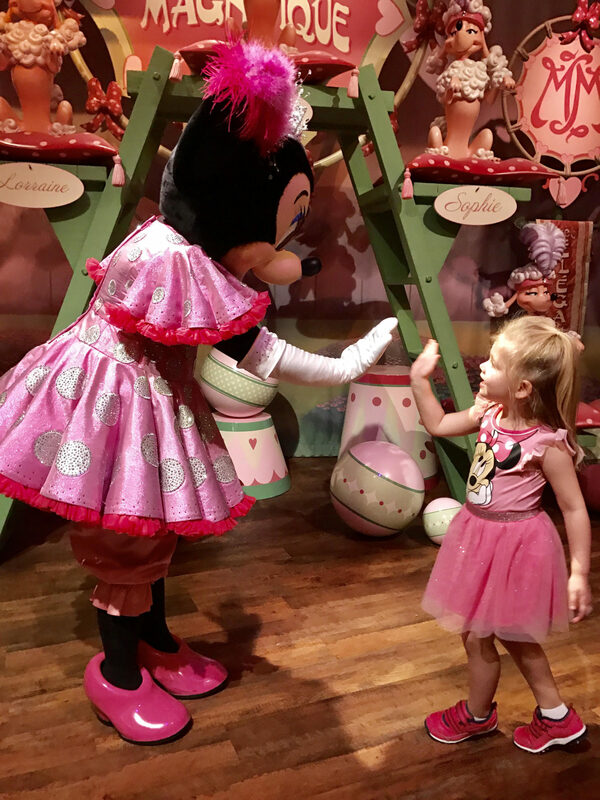 I knew my toddlers would be most fascinated by meeting the Disney characters. As I went, I learned some great tips and packaged them into this compact complete guide to the Magic Kingdom. Before you book anything, take a look at what meal times are open. I was surprised at how far ahead the reservations were booked, leaving only certain times available if you are booking only a few weeks in advance. We ended up eating breakfast in the car, lunch at Pinocchio, and dinner at Diamond… I liked the flexibility and pricing of Pinocchios Village Haus because you don’t need a reservation and the wait is reasonable. You can choose three FastPass options a day, which guarantees that you will see or do those three things while you are at the park. Disney’s Parks are like large amusement parks, which typically have lines to every ride or character meet & greet. So the FastPass option is amazing for planning your day with toddlers so you can bypass the lines. We ended up booking all of our FastPasses for the evenings to meet princesses. You can see our entire schedule below. We spent the entire day at the park and the weather varied quite a bit, from 80 degrees and sunny to cold and rainy. I wish I would have brought all of our sweatshirts that I left in the car, thinking that it would be too hot. Luckily, I had purchased 4 ponchos from the dollar store and we used them for the entire afternoon and evening. They are an absolute must. We arrived at the park right just after opening. Once you park your car, you then take a shuttle to get to the ticket booths. Then, once you buy your tickets, you take a ferry over to the Magic Kingdom where you go through another entrance, all before you are actually in the park. I think this whole process took around 45 minutes, maybe more. One of the best things I did in preparation for our trip to the Magic Kingdom was to study the map and have a plan for the day. First, I filled in our meal times and fast passes, then I knew that the majority of the rides for toddlers are located in FantasyLand, within the Magic Kingdom. We want to go there first before the lines were enormous. It was very helpful to have the Wait Times app on my phone, which lets you know how long each line is. 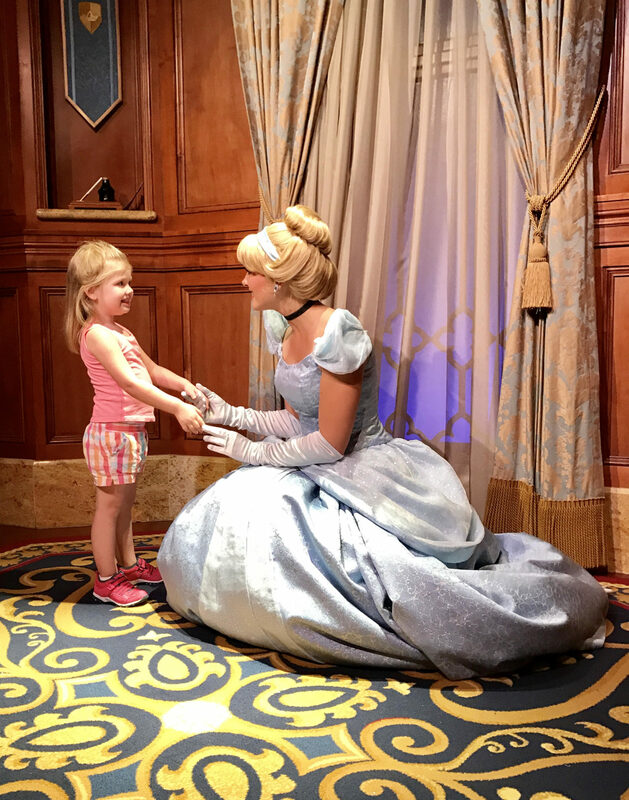 This is how we spent our day in the Magic Kingdom with our two toddlers and we absolutely loved pretty much everything we did. It was one of the most special days we have together as a family. 8:45 Got in line for the Ferry. Watched fireworks from the Ferry on our way back to where we parked. We knew that this was a day that our children would have to be flexible with their naps. In fact, we thought that they weren’t going to sleep, but we found that walking them around in the stroller did the trick. We did this for about 20 minutes right before dinner and they both passed out. It worked out great because they were able to sleep in the restaurant and when they woke up we took them to Pinocchio Village Haus to get dinner. We didn’t end up riding many of the rides with our kids, since they were so little and we didn’t want to spend our day standing in lines with toddlers. Next time we go back, we will definitely check more of the rides out. 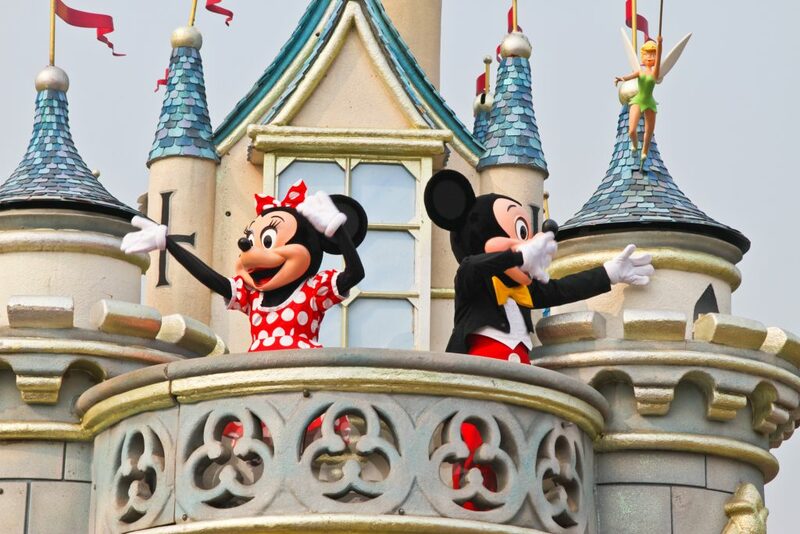 What is your favorite part of the Magic Kingdom or the Disney World Parks? If you have any questions, I’d be happy to answer them below. Don’t forget to grab your Complete Packing List for the Whole Family here. P.S. If you liked this piece, you may also like How to Easily Plan Super Fun Family Vacations. 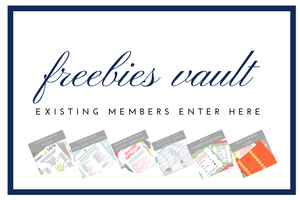 Great ideas to help everyone have a more fun and enjoyable time!